Top Producer (TP) has a reputation for being hard to learn and expensive. In comparison, RealtyJuggler's primary focus is on on simplicity and low cost. Both products offer free technical support, free upgrades, and contain all the features necessary for a busy real-estate agent. RealtyJuggler offers a free trial, and a pro-rated refund at any time and for any reason. Top Producer does not offer a free trial and does not offer refunds. 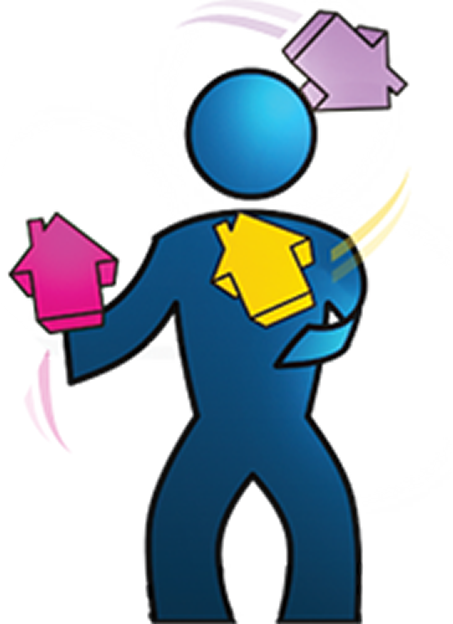 RealtyJuggler has been around since 2004 and has been continually upgraded, typically with three major upgrades a year. RealtyJuggler represents a fresh approach to real estate software, and is a particularly compelling choice for the value oriented agent looking for something easy.